Sold my VXX Combo. 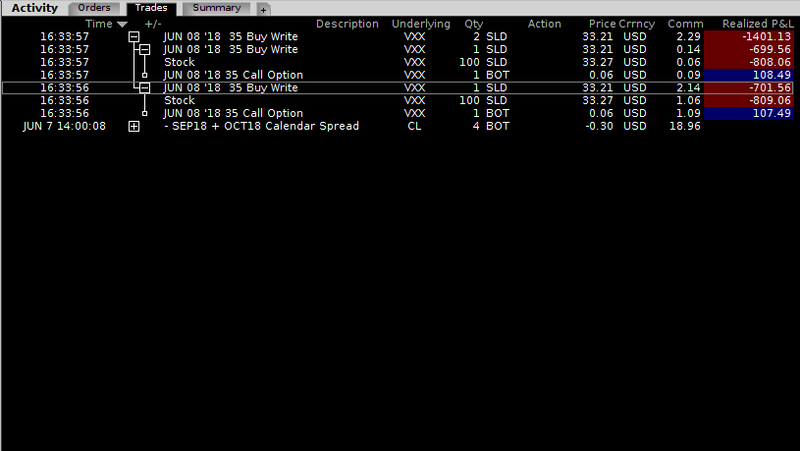 (Sold 200 VXX Shares and bought 2 VXX Jun08 35 Call back). I was expecting more volatility over the last weeks and thought VXX would be still higher right now. But VXX keeps going down, no matter what. I’ve made some money with the VXX Call Rollovers, but the VXX Shares are down too much and at the end of the Day I have to say that this was a losing trade. My realized Loss of today is $1200, but my Portfolio is still up $6,264 (62.64%).